A recent study has revealed that spending too much time on the phone and the internet has negative effects on the brain. Many people have grown increasingly dependent on phones for news, networking, calls and games among others, and a large number these days, particularly the youth,cannot do without their phones. 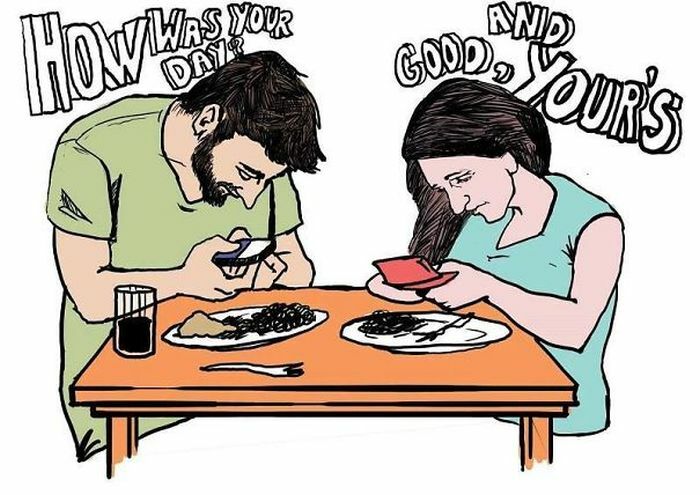 Some people can barely sustain a conversation with colleagues, families or people around them without interacting with their smart phones. The study, which was presented at the annual meeting of the Radiological Society of North America (RSNA), found an imbalance in the brain chemistry of young people addicted to smartphones and the internet. Professor of Neuroradiology at Korea University in Seoul, South Korea, Hyung Suk Seo and colleagues carried out the study on 19 young people diagnosed with internet or smartphone addiction and 19 gender- and age-matched healthy controls. Twelve of the addicted youth received nine weeks of cognitive behavioral therapy, modified from a cognitive therapy programme for gaming addiction, as part of the study. The researchers used magnetic resonance spectroscopy (MRS), a type of Magnetic Resonance Imaging (MRI) that measures the brain’s chemical composition to gain unique insight into the brains of smartphone-and internet-addicted teenagers. They used standardised internet and smartphone addiction tests to measure the severity of internet addiction. The questions looked at the extent to which internet and smartphone use affects daily routines, social life, productivity, sleeping patterns and feelings. Dr. Seo said that the addicted teenagers had significantly higher scores in depression, anxiety, insomnia severity and impulsivity.